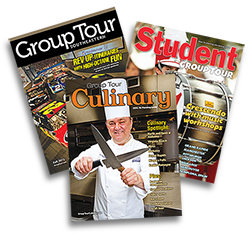 To submit advertisements intended for print in any of our publications, please attach them to an email addressed to printads@grouptour.com. Please clearly indicate the company submitting the artwork and include contact information. Large Files: If your file is too large to email, please use a file transfer service such as Hightail, Dropbox or DropSend. For ad sizes and specifications, please click HERE. For advertising deadlines, please click HERE. To submit all Web content, including Web page profiles, Web page photos and logos, and all Web advertisements, please attach them to an email addressed to webcontent@grouptour.com. 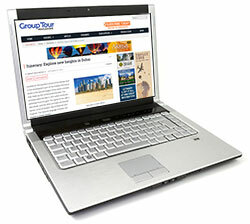 For more information on grouptour.com Web pages, please click HERE. For more information or guidelines on our other digital products, please click HERE. Questions? Comments? Contact our staff!